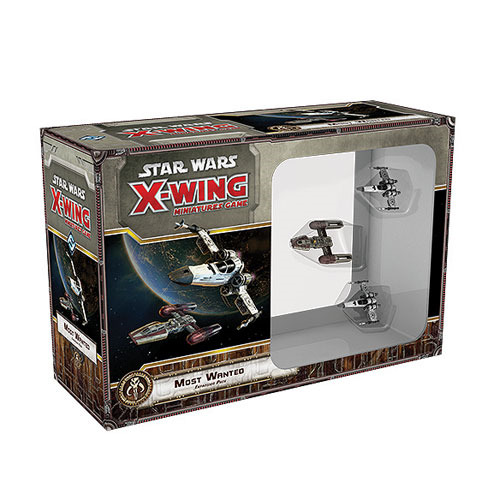 Get your Scum and Villainy faction quickly up to speed with the Star Wars X-Wing Game Most Wanted for X-Wing. Featuring three starship miniatures with alternative Scum-themed paint schemes and a whole fleet's worth of ship cards, upgrades, tokens, and maneuver dials, the Most Wanted Expansion Pack serves as the core of your Scum and Villainy faction, establishing its flavor and allowing you to quickly assemble a fleet by repurposing your existing X-Wing starships for use within the faction. Ages 14 and up.